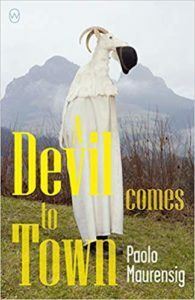 The latest addition to my website is Paolo Maurensig‘s Il diavolo nel cassetto (A Devil Comes to Town). This is a tongue-in-cheek fable about a remote Swiss village, where everyone is a would-be writer but all have their manuscripts rejected. When a young woman, considered simple-minded by the other villagers, wins a literary prize, word spreads and the Devil, in the form of a publishers, arrived in the village to help the villagers publish their work. The curate of the village, who is telling the story, engages the Devil in a life-and-death struggle. With foxes as the avatars of the Devil, the publisher as the Devil and amateur writers as tools of the Devil, Maurensig is clearly having fun with this work.